Because the beginning matters most. 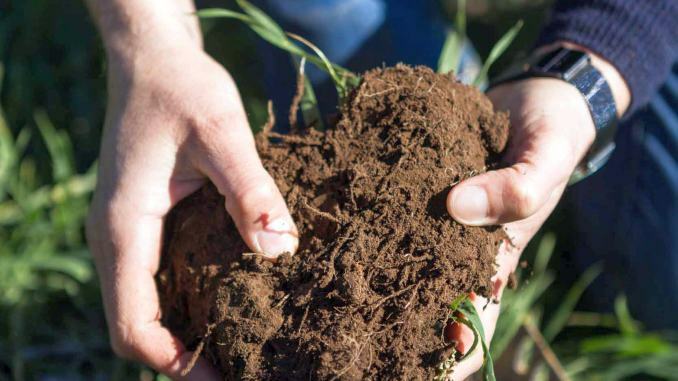 More precisely, the structure of the soil influences fertility, an essential factor when it comes to the productivity of that soil. SUCCESS STORIES IN RAPESEED AND SUNFLOWER! Read more about SUCCESS STORIES IN RAPESEED AND SUNFLOWER! Carmeuse presented the results of using the product TERRACALCO® 95 on maize during the "Field Day", event organized at the farm TEHNOIND in Ghigoiesti, Neamt county on 16 August 2016. Farmers who participated in Field Day have seen good development in the area where the corn was applied TERRACALCO® 95. Izmir Metropolitan Municipality starts to distribute Caldez to animal producers to fight against cowpox (bovine animals’ disease). Carmeuse was pleased to present the first visuals results of Terracalco use on sugar beets during the Field Day organized by Almos in Dulcesti close to Roman, Moldavia region on June 9th. Carmeuse Hungary has the great pleasure to announce they receveived the „Award of Product for Hungarian Crop Growing” for its product TERRACALCO 95 as part of Great Plains Agricultural Exhibition. This new soil amendment product that Carmeuse Hungary has just been launched has been awarded at the 1st place in Crop Growing Category. On March 11, Carmeuse Hungary organized a symposium dedicated to the benefits of liming in agriculture. The attendees were mainly farmers who were very interested to learn how to improve their soils and to counter the effects of the increasing acidity. Professor Levai from the Debrecem University made an interesting presentation on the agronomics aspects linked with the soil acidity. Carmeuse representatives explained the different benefits of liming who involve yields increase. Attendees appreciated meeting a company presenting technical information on this subject. The seasonal appearance of potatoes blight, a fungus attacking the Solanaceae family,ia cause of significant loss. The potato bright is spreading faster even at lower temperatures than ten years ago. To prevent the spread of blight, it is recommended to clean up the piles of yards gaps left in the field edge in dealing with quicklime. It is usually recommended to use 10% TerraCalco lime on the weight of land and vines to treat. More information, see article in French in Le Sillon Belge journal "Blight prevention in pototoes crops"